Ben Affleck has apparently developed into quite a card shark. While it was his best friend Matt Damon who helped start the poker boom by portraying a poker shark in the film ‘Rounders,” it is Affleck who is the actual card shark in real life. The proof of this is Affleck’s recent admission that he has been banned from the blackjack tables at the Hard Rock Hotel & Casino in Las Vegas. The details of the story came out in the most recent issue of “Details” magazine. They ran an interview with Affleck, and among the topics was a discussion about the incident at the Hard Rock. There had been stories floating around the celebrity stratosphere for a while that Affleck was kicked out of the casino, but apparently that isn’t exactly true. According to Affleck, he spent a lot of effort to learn how to count cards while playing blackjack. Counting cards can actually tip the odds in favor of the player, which is why most casinos will ban players who they suspect of counting cards. Affleck says that he was not banned from the casino, but he was banned from the blackjack tables. 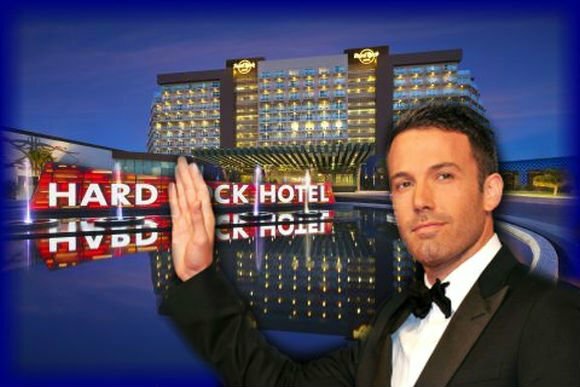 Instead, the staff at the Hard Rock suggested that Affleck might enjoy playing craps or roulette instead of blackjack. They told him he is welcome anytime, but that welcome does not extend to their blackjack tables anymore. Affleck goes on to say in the interview that the casinos showed just how shady their business is with the way they treated him. According to him, they are always backslapping guests and welcoming them to come and play at the casino. However, once players start to prove that they are a winner, they will quickly be banned from playing the games where they are profiting. It remains to be seen if Affleck will continue his blackjack career at other casinos.